The Racket Pack Primary Equipment Bag is the complete tool for a primary school teacher to instruct badminton lessons. Specially developed for primary schools. 6 Racket Pack Smash 21” Rackets. 6 Racket Pack Tink 23” Rackets. 6 Racket Pack Flo 25" Rackets. 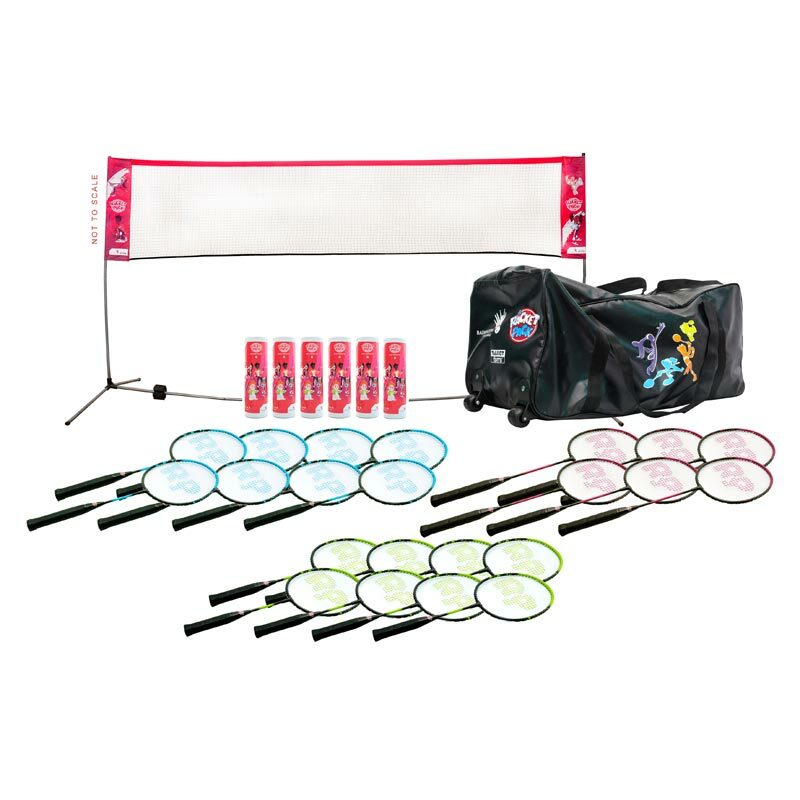 Racket Pack Lightweight Net & Post set. Racket Pack Holdall with wheels.